Marie-Georges-Jean Méliès, the magician of early cinema, was born this day one hundred and fifty years ago. Though it seems to be pure coinicidence, his 150th year has been marked by a succession of notable Mélièsian events, culminating in the release this month of Martin Scorsese’s film Hugo, in which Méliès (played by Ben Kingsley) features as a leading character, and in which the production of Méliès’ films is lovingly created. In celebration of the French master’s 150th, here is a set of links to the main DVDs, websites, publications and past Bioscope posts on Georges Méliès. I’ve not provided any links to online videos, because we have a rule here at the Bioscope about not linking to films which have been ripped from DVDs, and practically every Méliès available on YouTube has indeed been ripped in this way. The films are in the public domain (though their new soundtracks are not), but it’s a shame to see, especially when the producers of such DVDs have gone to such trouble and expense to compile their productions in the first place. But for those who don’t know, don’t care, or who believe as a matter of principle that everything should be for free and online anyway, there is plenty to be found – and doubtless Georges would be thrilled that his productions continue to delight new generations. And finally, a quotation, written by yours truly when reviewing the 5-DVD set back in 2008, which says all that I need to say on the matter. Georges Méliès is confirmed here as among the pre-eminent artists of the cinema, perhaps the most exuberant of all filmmakers. The films display imagination, wit, ingenuity, grace, style, fun, invention, mischief, intelligence, anarchy, innocence, vision, satire, panache, beauty and longing, the poetry of the absurd. Starting out as extensions of the tricks that made up Méliès’ magic shows, to view them in chronological order as they are here is to see the cinema itself bursting out of its stage origins into a theatre of the mind, where anything becomes possible – a true voyage à travers l’impossible, to take the title of one of his best-known films. The best of them have not really dated at all, in that they have become timeless, and presumably (hopefully) always will be so. Méliès in his lifetime suffered the agony of seeing his style of filmming turn archaic as narrative style in the Griffith manner became dominant, but we can see now that is his work that has truly lasted. The films will always stand out as showing how motion pictures, when they first appeared, in a profound sense captured the imagination. Andrew Shail (ed. ), Reading the Cinematograph: The Cinema in British Short Fiction 1896-1912 (University of Exeter Press). One of the most novel and interesting silent film books of the year is this mixture of anthology and critical history, which brings together eight short stories about early cinema, published at the time, paired with scholarly essays in each. Pieces such as Rudyard Kipling’s ‘Mrs Bathhurst’, George R. Sims’ ‘Our Detective Story’ and Mrs H.J. Bickle’s ‘Love and the Bioscope’ are introduced by Tom Gunning, Stephen Bottomore, Andrew Higson and others. The stories are facsimile reprints with the original illustrations, and the essays are illuminating, cogent and enthusiastic. Bryony Dixon, 100 Silent Films (BFI/Palgrave Macmillan). The book surely no silent fan can resist is this knowledgeable, slightly polemical account of 100 representative silent films. Not the 100 best, but 100 that cover the great range of silent films, so encompassing not just the best-known feature films, but equally early cinema, documentary, newsreels, animation, natural history, actuality, advertising films and the avant garde. A book full of discoveries, with great knowledge expressed in an easy style. Matthew Solomon, Fantastic Voyages of the Cinematic Imagination: Georges Méliès’s Trip to the Moon (State University of New York Press). It really has been Georges Méliès’ year, and two of the year’s most notable publications concern his iconic 1902 film, Le voyage dans la lune. Fantastic Voyages is a collection of essays that cover the many different aspects of the film, from its production history, to its contemporary contexts, to its meanings today. It also comes with a critical edition DVD. It’s a whole scientific adventure in itself. La couleur retrouvée du Voyage dans la Lune / A Trip to the Moon Back in color (Capricci Editions / Technicolor Foundation). This 192-page book was produced by the Technicolor Foundation to accompany the sensational colour restoration of Le voyage dans la lune. Written in English and French, it is gorgeously illustrated and jam-packed with essential information on the film’s history, Georges Méliès himself, and the restoration. It is available for free as a PDF from the Groupama Gan Foundation website; hard copies can be purchased in France, but I got mine just by writing to Technicolor and asking. Martin Loiperdinger (ed. ), Early Cinema Today: The Art of Programming and Live Performance (John Libbey). One of the themes of silent film publication this year, at least as far as this selection is concerned, is pushing the subject out into new territories. I don’t recall seeing before now a whole book devoted to the presentation and performance of early cinema today. This fascinating selection brings together essays by academics, programmers and archivists who are discovering new meanings in the films of a century ago in the act of thinking how best to put them before the audiences of today. Charles Drazin, The Faber Book of French Cinema (Faber). This, as the title indicates, is not solely devoted to silent films, but rather takes in the whole of French cinema. Single volumes recounting the history of a national cinema for a general audience rather than specialist academic have become something of a rarity, so an acessible and useful overview like this is particularly welcome. Drazin shows due and knowledgeable attention to French silent cinema, even the complexities of the earliest period when Pathé and Gaumont first set up their multinational empires, connecting it all to the latter years of Renior, Pagnol, Duvivier, Godard, Truffaut and Audaird. John Bengston, Silent Visions: Discovering Early Hollywood and New York Through the Films of Harold Lloyd (Santa Monica Press). John Bengston’s photographic volumes illustrating the real locations used in the great silent comedies are innovative classics. Following on from his much acclaimed volumes on Chaplin and Keaton, here he illuminates the artistry of Harold Lloyd through an understanding of the locations used in Safety Last, Girl Shy, The Freshman, Speedy and others. A delight both for the film historian and any enthusiast for social or urban history. Aubrey Solomon, The Fox Film Corporation 1915-1935 (McFarland). A solid, really useful acount of Fox before it was Twentieth Century-Fox, this studio history covers its foundation by archetypal mogul William Fox, the man who turned a “$1600 investment into a globe-spanning $300 million empire”, the production of such classics as The Iron Horse and Sunrise, and contains a comprehensive filmography. A film book publication of the traditional and entirely reliable kind. Caroline Frick, Saving Cinema: The Politics of Preservation (Oxford University Press). As is becoming increasingly clear, cinema history is at a crossroads, as celluloid comes to the end of its natural life and digital takes over. This makes archiving riven with practical, aesthetic and politicial choices to be made, which are the subject of huge debate. This thoughtful and well-researched book shows the dilemmas but also the great opportunities that digital brings to film archives, especially in opening up previously invisible corners of our moving image heritage. Are we saving cinema, or are we saving something else? These are just my suggestions. If you have favourites of your own from 2011, do let us all know. Keynote speakers: Professor Vanessa Toulmin (Director of the National Fairground Archive), Dr Sarah Kember (Goldsmiths) and Professor Sally R Munt (Director of the Sussex Centre for Cultural Studies). Plenary speakers: Dr Astrid Ensslin (Bangor), Dr Melanie Chan (Leeds Met), Professor Nicholas Till (Sussex), and Dr Jo Machon (Brunel). From magicians and mediums to immersive media, and from the circus to cyborgs, the celebration and/or mistrust of illusion has been a central theme across a range of cultures. Notions of fakery and deception remind us that our identities that are performative. The figure of the ‘mark’ of the fairground scam remains culturally ubiquitous, perhaps more so than ever, in an era of (post) mechanical reproduction. Is new technology a flight from the real or merely a continuation of older cultural forms? Is it necessary, or even possible, to define reality in relation to the illusory? What realms of ‘otherness’ remain to be embraced? 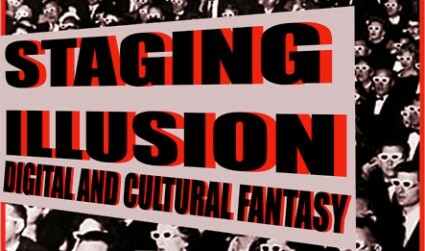 This international conference will discuss staged illusions across a spectrum of historical, geographical and cultural contexts, featuring original and exciting papers and performances. Panels interrogate staging illusion from diverse perspectives, including: 3D cinema, the paranormal, the music hall, digital trickery, the fairground, magicians and illusionists, theatre, science, the museum, the magic of cinema, the gothic, digital gaming, social networking, the circus, advertising, illusory bodies and genders, theme parks and digital animation. Over two days the conference will also showcase illusory performance pieces, installations and magic. Panel speakers so far confirmed: Jon Armstrong, Adam Bee, Victoria Byard, Diane Carr, Eleanor Dare, Cristina Miranda de Almeida with Matteo Ciastellardi, Lane DeNicola, Yael Friedman, Aristea Fotopoulou, Kate Genevieve, Jonathan Gilhooly, Dr Rachael Grew, Birgitta Hosea, Jacqueline Hylkema, Jane Insley, Lewis Johnson, Laura Ellen Joyce, Frances A. Kamm, Ewan Kirkland, Chara Lewis with Kristin Mojsiewicz & Anneke Pettican, Liang-Wen Lin, Joe Marshall, John Carter McKnight, Jenny Munro, Constantino Oliva, Professor Deborah Philips, Burcu Yasemin Şeyben, Jayne Sheridan, Peter Sillett, Frances Smith, Marian St. Laurent, Nozomi Uematsu, Owen Weetch, John Wills. No programme as yet, but registration is now open, with the cost £190 (£85 for students). There’s a downloadable booking form on the conference site, and you can follow developments on the conference blog or via its Twitter feed. We’re going introduce a new feature here at the Bioscope. It’s our first interview, and it’s intended to be the start of series of interviews with people involved in one way or another with silent film and related areas. Our debut interviewee is Matthew Solomon. 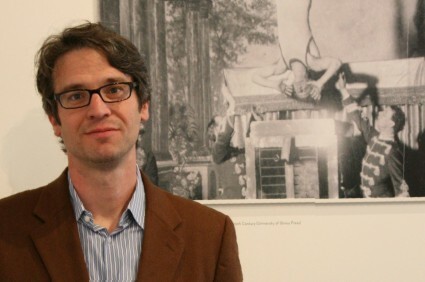 Solomon is Associate Professor in the Department of Screen Arts and Cultures at the University of Michigan. He is the author of the award-winning Disappearing Tricks: Silent Film, Houdini, and the New Magic of the Twentieth Century (University of Illinois Press, 2010) and the editor of the recent Fantastic Voyages of the Cinematic Imagination: Georges Méliès’s Trip to the Moon (SUNY Press, 2011), which focusses on that single film from 1903. The interview covers Fantastic Voyages, Le voyage dans la lune/A Trip to the Moon itself, magic in cinema, and man of the moment Georges Méliès. TB: How did the book Fantastic Voyages come about? MS: About the time I was finishing the first draft of the manuscript of Disappearing Tricks, I realized there was a lot to say about Méliès that had nothing to do with magic. Editing an anthology seemed like a good way to explore that further while also keeping busy during the long stretches of time when the process of publishing Disappearing Tricks was out of my hands. I also wanted to see if a single early film could be a viable subject for a book-length treatment. I like reading and teaching books that look closely at one specific film, but I had never seen such a book written about a film made before 1914. I knew I’d need a lot of help and luckily a number of people whose work I admire were willing to be part of the book and make it what it is. TB: Please describe the book for the readers of the Bioscope. MS: The contributors to Fantastic Voyages closely analyze A Trip to the Moon from a number of different perspectives while exploring its connections to countless other works in many different media. 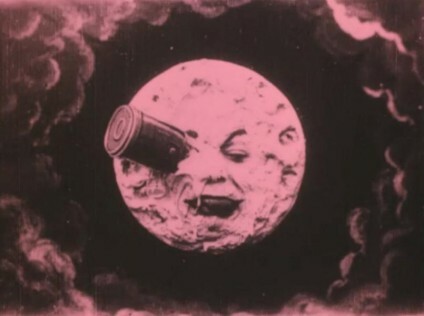 While the book relates the film to Méliès’s oeuvre and firmly anchors it within the historical contexts of the turn-of-the-twentieth-century, it also tries to open it up to other kinds of relationships and contexts that might suggest why A Trip to the Moon has had such a long and varied ‘afterlife’, one that continues right up to the present day. It is a highly international volume, with contributors from some eight different countries. 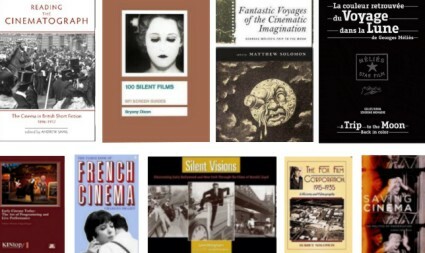 The appendix includes a dossier of primary-source documents, including two previously un-translated essays by Méliès, and the book is published with a critical edition DVD. TB: How did the DVD extra come about? MS: Two of the big issues that emerged for me in researching the book were the ways that truncated prints and projection speed have shaped our understanding of A Trip to the Moon. What I found was that the film has been seen throughout much of its history in versions that were missing part or all of the last two scenes. And even though Méliès’s catalogs specify a running time of sixteen minutes, which comes out to about 14 frames per second, all available versions of the film had been transferred at a much higher frame rate, which speeds the action up by close to 100% in some cases and results in a frenetic pace that was likely never intended. I wanted to make a complete version of A Trip to the Moon available at the specified speed and I got that opportunity when the book was being prepared to go to press. Charlie Johnston, a film editor with Lost Planet New York, got interested in the project and made creation of the DVD possible. We began by scanning a reconstructed 35mm print generously loaned from the collections of Film Preservation Associates by David Shepard. Simultaneously, Nico de Klerk discovered a previously unknown color-tinted and German-titled version of A Trip to the Moon in Amsterdam. The Eye Film Institute scanned the print and consented to have it included. Musical accompaniment was by Martin Marks, who recorded a 1903 score he had discovered in London, and Donald Sosin, whose original music for the tinted version ended up being one of the highlights of the disc. TB: There are many different interpretations of A Trip to the Moon in Fantastic Voyages. Which one surprised you most? MS: I was surprised by at least one thing in each of the essays — an overlooked detail, a new understanding, a previously unmentioned connection, or a relevant contemporary work. Those surprises were one of the pleasures of working with such a knowledgeable and smart group of collaborators, whose contributions demonstrate that maybe we didn’t know A Trip to the Moon as well as we thought we did. TB: Why was A Trip to the Moon so popular in 1903? MS: One defining feature of A Trip to the Moon which made it so popular was the way it drew upon so many things circulating in the culture around 1902-1903 that would have been familiar to audiences: the Jules Verne book, of course, the Offenbach operetta, a ride that was the hit of the 1901 Buffalo World’s Fair, as well as countless other works discussed in the book. It was also a compelling storyline and a virtuoso display of the most current visual effects by the undisputed master of the trick film. Méliès was a gifted synthesizer and this film is evidence of his ability to combine diverse elements into a coherent and engaging spectacle. TB: Why is A Trip to the Moon so important today? Why has it lasted? MS: On one hand, A Trip to the Moon is important today because it is part of the canon — a film that gets viewed and taught as a historically important work. This is itself the result of a process that began with its rediscovery at the end of the 1920s, one which I explore in my introduction to the book. On the other hand, A Trip to the Moon continues to be an important film because it resists singular interpretation and instead lends itself to constant reinvention. When it was first rediscovered, it retroactively became a surrealist film, just as it retroactively became an early work of science fiction when that genre proliferated a few decades later. 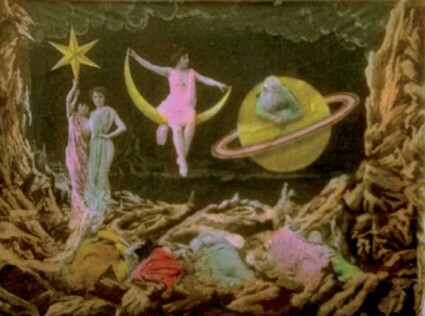 More recently, as Viva Paci points out in the last chapter of the book, Méliès’s aesthetic has been readily appropriated in music videos that give new life to A Trip to the Moon. It is a film that seems to have aged well, becoming fresh and relevant in different ways over the years. TB: Why was there such a strong relationship between magic and illusion and early cinema? MS: Magicians were one of the first professional groups to really recognize the potential of the cinematograph and to begin to exploit some of its possibilities. Méliès was among these turn-of-the-century magicians, of course, and he remained committed to the core principles of magic, as I discuss in Disappearing Tricks. Viewers as well as filmmakers understood film as an illusion partly since moving pictures were often screened as part of magic shows. This is just how A Trip to the Moon was first presented to viewers in Paris in September 1902 at Méliès’s magic theatre. A major draw of the film would have been its trick shots—the moon’s approach, the dream sequence, the exploding Selenites, the underwater shots—all of which were cutting-edge visual effects at the time. TB: Are the films of Georges Méliès still ‘magical’ today? MS: I contend they are. Méliès’s films still have the capacity to deceive us: we know that what we’re seeing is an illusion, that we’re being tricked, but we may not know just how it was done — which is not all that different from how the films were received in 1902. For many years, one of Méliès’s primary tricks went by the name of the ‘stop-camera effect’, even though Jacques Malthête pointed out thirty years ago that all these tricks involved editing as well as simply stopping and restarting of the camera. Méliès actually cut, or edited, his films to create the appearances, disappearances, and immediate transformations we see. Yet, this crucial part of the operation, the ‘substitution splice’ as it is sometimes called, often seems to have gone undetected. Likewise, by looking closely at A Trip to the Moon, one discovers that several scenes that appear to be simple straightforward long takes are actually made up of separate shots that were very carefully choreographed and seamlessly matched together. The magician of Montreuil can still trick us, more than a hundred years later. TB: Is A Trip to the Moon really a satire on imperialism, as is argued in the book? Aren’t we a little guilty of imposing our idea of how films work onto a film which audiences would have read very differently in 1903? MS: A Trip to the Moon is a lot of things, and a satire is one of them. The last two scenes, which are missing from so many prints (including most now circulating on the Internet) really make this clear. The medal ceremony with all of the posturing by the explorers, who have been so inept and violent; the captured Selenite on a leash that is beaten with a stick until it dances for the cheering crowd; and the statue of the conqueror Barbenfouillis with his foot firmly planted on the head of an unhappy vanquished moon: all that points to a highly ironic take on exploration and, with it, imperialism. We have to remember that Méliès was a political cartoonist as well as an illusionist before he started making films. The ‘magician of Montreuil’ was not nearly as innocuous as he has been made out to be in retrospect. I certainly wouldn’t claim that movies are viewed in the same way today as they were in 1902 or 1903, but contemporary audiences may in fact be less attentive to detail than the viewers of Méliès’s time, who were in the habit of reading and interpreting images dense with meaning like political caricatures much more carefully than most of us do today. During the 1890s, for example, commentators on Lumière films drew attention to leaves fluttering in the wind in the background, but this detail passes unnoticed today. If you slow down A Trip to the Moon to 14 frames per second, as we did on the DVD, and really look carefully at what is happening onscreen, you notice there’s a whole lot more to it than a compelling story and a clever series of visual effects. TB: 2011 is turning out to be a remarkable year for Georges Méliès, with the colour restoration, the Hugo Cabret film to come – and of course your book. And we have had exhibitions and the Flicker Alley DVD releases. Why is there so much interest in Méliès just now? MS: Yes, Méliès is getting a lot of attention right now — just in time for the 150th anniversary of his birth. The cluster of Méliès events in 2011 may be partly coincidence. I know that restoration of the hand-colored print of A Trip to the Moon discovered in Spain has been in the works for more than a decade and might well have appeared sooner, just as the film adaptation of Brian Selznick’s wonderful book perhaps could have been produced earlier. In addition to Fantastic Voyages, you might also note the Méliès conference taking place later this month in Cerisy-la-Salle. But most importantly, the level of interest in Méliès would not be what it is now if not for the long-awaited entry of his work into the public domain a year-and-a-half ago, which more or less coincided with the release of the Flicker Alley DVDs. The timing has worked in favor of Méliès’s legacy: given his preference for the short form and his skill in staging virtual onscreen environments, Méliès’s work seems more prescient than ever right now. TB: Fantastic Voyages seems to suggest that film studies is no longer enough if we are to appreciate such a film as A Trip to the Moon? Is film studies changing, or does it need to change? MS: I hope the book demonstrates the value of treating cinema as a part of a much broader set of cultural practices while remaining attentive to the specifics of individual films. This is something that historians of early cinema have become accustomed to doing because so much contextual and intertextual knowledge is sometimes needed simply to make sense of the films. Film studies has become more inclusive and interdisciplinary, I think, and we can see some of the ways the field has changed by comparing the essays in Fantastic Voyages to accounts of A Trip to the Moon in earlier books, where it was often mentioned only as a forerunner of narrative cinema. Although I certainly wouldn’t deny this, such a narrow view centered on storytelling seems rather impoverished when one considers the true richness of the film and the diverse contexts that helped to generate it. TB: What is your next project going to be? MS: I’m working on a study of Méliès that examines his work as it cut across the various media in which he worked during his career, including (but not limited to) caricature, cinema and theater. While Méliès was undoubtedly a multi-media auteur, I’m ultimately less interested in his singular genius and vision than in using archival research and close examinations of his work to explore the ways that images and performances were staged, politicized, manipulated, commodified, circulated and exchanged in particularly modern ways during the late-nineteenth and early-twentieth centuries. 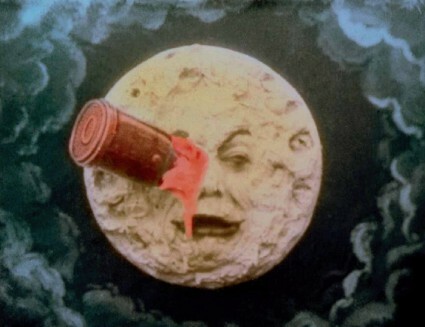 May 11 sees the unveiling at the Cannes Film Festival of what may be the film restoration to beat all other film restorations – the colour version of Georges Méliès‘ Le voyage dans la lune (A Trip to the Moon) (1902). Its recovery is little short of miraculous. The most iconic of all early films is known to so many, if only for the shot of the rocket going into the Moon’s eye, but no-one since 1902 has seen in its hand-painted colour form (see the Bioscope’s 2008 post Painted by hand for a short history of this early method of colouring films). 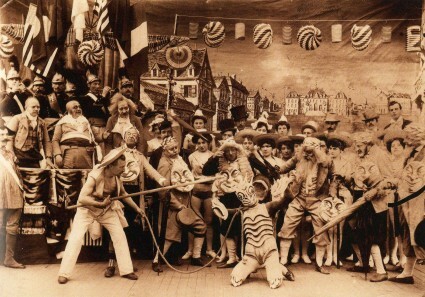 Méliès was able to supply coloured versions of his films, at double the price of black-and-white, but until 1993 no coloured copy of La voyage dans la lune was known to survive. Then a print was discovered by the Filmoteca de Catalunya in Barcelona among a collection of 200 early films, but unfortunately in a state of total decomposition – or so it was thought. Inside, there was a 35mm film on which we could distinguish some of the first film images framed by the small perforations characteristic of early films. Unfortunately, our round reel looked more like a ring of wood, such was the extent to which decomposition had transformed the originally supple film into a rigid, compact mass. We decided to consult several specialist laboratories. Their diagnosis was irrevocable: the copy was lost. But undaunted, and with great patience, they started to unwind the film frame by frame. They discovered that the images were not stuck to one another – only the sides of the images had decomposed and had melded together. There was a glimmer of hope. We progressed centimetre by centimetre, taking out entire strips of film at a time but often in small fragments. Sometimes the image had disappeared. It took several weeks to uncover the quasi-totality of the images. The reel, now unwound, was still extremely fragile. In its condition, it was unthinkable that we could use wet-gate step printing, the only technique that would enable the images to be copied again onto a new film before they could be restored. We had two options. Either we tried to give the film back its original flexibility so that it could be duplicated, or we photographed each image using an animation stand, but at the risk of breaking the film. They decided on the first option, which demanded chemical treatment which would render the film pliable for a period, but which would hasten its decomposition thereafter. The work was undertaken by Haghefilm in the Netherlands, who after months of work managed to transfer around a third of the film onto internegative stock. The remainder of the film could not be copied and was now in a highly brittle state. These remaining 5,000 frames (out of a total of 13,375) were photographed individually in 2000 using a 3M pixel digital camera, work which took a year to complete. Because the digitization took place over a period of years in different physical locations and different technical environments, utilizing dissimilar gear, the resulting data was not natively organized into a sequentially numbered image order. Each digitization session generated its own naming convention and frame numbering protocol … Several versions of some shots had been created as a result of the separate capture sessions. And due to variations in the specific conditions and equipment used in each digitizing session, the files differed greatly from one another in color, density, size, sharpness and position – it was becoming clear that integrating them into a seamless stream of matching images was to be a challenge of extremely large proportions. Technicolor sorted out the jigsaw puzzle, re-rendered the files as DPX files, then undertook the process of reconstruction the film with reference to an HDCAM version of a black-and-white print of the film provided by the Méliès family, matching it up frame by frame. Much more then followed to clean, stabilise, grade and render the finished film, filling in colours where these were missing with reference to the use of those colours elsewhere in the film, then time-converting it to the original speed of 14fps. The entire restoration project cost 400,000 euros – for a 14-minute film. And so we come to 2011 (the 150th anniversary of Georges Méliès’ birth) and the restored film’s presentation at Cannes on May 11. It will be presented with a new soundtrack by the vogue-ish French duo Air. 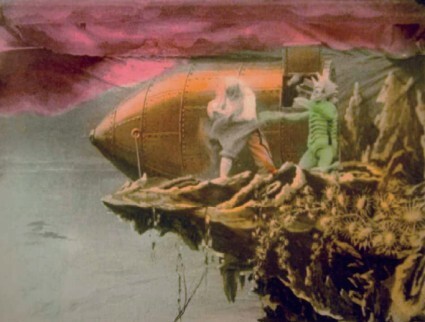 The Technicolor Film Foundation has information on the project on its website, including a truly fabulous 192-page PDF book La couleur retrouvée du Voyage dans la Lune / A Trip to the Moon Back in color, in French and English, on Georges Méliès, his career, his methods, the film and its restoration. It is gorgeously illustrated, and serves as a first-rate guide to the special genius of Méliès. I strongly recommend it. It is free to download (the booklet itself is available at Cannes, but apparently it is not going to be on sale generally). A copy has been placed in the Bioscope Library. All illustrations and quotations in this post come from the book. The Bioscope will pick up on such reports as it can find about the film’s Cannes screening, and any news of screenings thereafter. It will feature at other festivals, but how widely it will get shown further after that (e.g. if there is to be a DVD or Blu-Ray release) has not been said as yet. However, film, digital cinema and HD release versions have been produced. This is turning out to be the year of Georges Méliès. As well as the colour restoration of Le voyage dans la lune (1902), this month sees the publication of Matthew Solomon’s book on the film, Fantastic Voyages of the Cinematic Imagination. Then at the end of 2011 we will have Martin Scorsese’s Hugo Cabret, his adaptation (in 3D) of Brian Selznick’s children’s book The Invention of Hugo Cabret which features Georges Méliès as a central character. Méliès is played by Ben Kingsley, and the cast includes Sacha Baron Cohen, Jude Law, Asa Butterfield and Chloë Moretz. M. Méliès is about to go global. The Bioscope Newsreel failed to hit your screens last Friday, as the entire editorial team was in Spain. But we have returned, with items curious and diverting for your delectation and instruction. In case you missed it, one of Google’s contribution to April Fools’ Day was to add a “1911” button to YouTube that allowed users to convert videos into faux silent films, complete with sepia tone, scratches (naturally) and tinkly piano (of course). 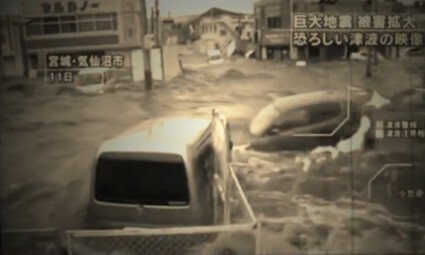 Unfortunately the joke fell somewhat flat for some, as many videos of serious note (9/11, the Japanese tsunami etc.) hardly lended themselves to facetious treatment. Read more. More on faux silents, as we now have Silent Film Director, a new app made by MacPhun for iPhone, iPod Touch, and iPad and available on the iTunes App Store. It allows you to convert your videos into “classic silent movies”. There are six themed filters: an “old and grainy 20s-era movie filter”, 60s home video, 70s-era home video, standard black-and-white, sepia-toned, and “Vintage Sepia” with extra graininess and signs of wear and tear. There are soundtracks you can add, then upload your video to YouTube, share it on Facebook, or enter the developers’ “International Silent Film” content. Read more. Eclipse has issued a three-disc set that brings together the five surviving silent films of Japanese master Mikio Naruse, pre-eminent in studies of women’s lives. They are the short film Flunky, Work Hard (1931), No Blood Relation (1932), Apart From You (1933), Every-Night Dreams (1933) and Street Without End (1934). The films are presented silent, with optional soundtracks, and come with English subtitles. Read more. Greta Garbo is going to be on a banknote. She is one of six prominent Swedes (including Ingmar Bergman) whose faces have been selected to appear on Swedish bills scheduled to come into circulation around 2014-15. Is she the first film person (and of course she was a silent film person) to be so honoured? Read more. One of the items we brought with us from Spain was the English version of Joan M. Minguet Batllori’s Segundo de Chomón: The Cinema of Fascination. It’s a pleasing critical biography of the leading Spanish of the early cinema period, someone whose reputation as a master of the fantastical continues to grow. See for instance Chris Edwards’ detailed appreciation of Sculpteur moderne (1908) over at the fine Silent Volume blog. Read more. For some while we have been bemoaning the lack of a DVD of the work of Segundo de Chomón, the brilliant Spanish trick filmmaker from the 1900s period, whose work is frequently compared to that of Georges Méliès. Examples of his work ripped from a VHS of unclear history can be found online in assorted places, but at last we can report the publication of an official DVD, Segundo de Chomón, el cine de la fantasía. Produced by the FilmoTeca de Catalunya, and with films taken from the collections of the BFI, CNC Archives du Film, Eye, La Cineteca del Friuli and others, the multi-region DVD contains 31 titles (144 minutes of film), with an original music score by Joan Pineda. There is a booklet, Segundo de Chomón: Más allá del cine de las atracciones 1902-1912, written by Joan M. Minguet, author of the main work on de Chomón, Segundo Chomón. El cinema de la fascinació (2009). There are subtitles available in Catalan, Spanish and English. Segundo de Chomón (1871-1929) became involved in film through his wife, who was an actress in Pathé films. In 1902 he became a concessionary for Pathé in Barcelona, distributing its product in Spanish-speaking countries, and managing a factory for the colouring of Pathé films. He began shooting actuality films of Spanish locations for the company, then 1905 moved to Paris where he became a trick film specialist. The body of work he created over five years was outstanding. Films such as Le Spectre Rouge, Kiriki – Acrobates Japonais, Le Voleur Invisible and Une Excursion Incohérente are among the most imaginative and technically accomplished of their age. De Chomón created fantastical narratives embellished with ingenious effects, gorgeous colour, innovative hand-drawn and puppet animation, tricks of the eye that surprise and delight, and startling turns of surreal imagination (see, for example, the worms that crawl out of a chocolate cake in Une Excursion Incohérente, one of a number of films where visitors or tourists are beset by nightmarish haunted buildings, a favourite de Chomón theme). It is curious why he is not generally known as one of the early cinema masters, except among the cognoscenti in the field. 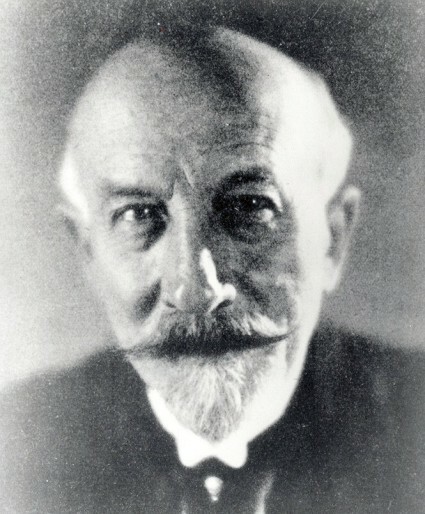 Perhaps it is because there is a smaller body of work than that created by Georges Méliès (his works can perhaps be described as a cross between that of Méliès and another who combined trickery with animation, Emile Cohl); perhaps it is because he was a Spaniard working in France for the key part of his film career that has meant that neither side has championed him as much as they might have done. De Chomón carried on as a filmmaker, specialising in trick effects, working for Pathé, Itala and others, and contributing effect work to two of the most notable films of the silent era, Pastrone’s Cabiria (1914) and Abel Gance’s Napoléon (1927). Perhaps the publication of Segundo de Chomón, el cine de la fantasía will bring hilm back into the spotlight that his genius undoubtedly merits. 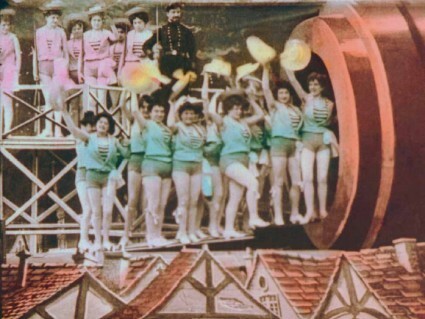 Another example of Segundo de Chomón’s work to be found legitimately online is on the Europa Film Treasures site, the ingenious Les Kiriki – Acrobates japonais (1907). 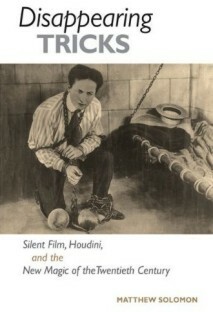 Published this month by the University of Illinois Press is Disappearing Tricks: Silent Film, Houdini, and the New Magic of the Twentieth Century, by Matthew Solomon. It revisits the golden age of both theatrical magic and silent film to reveal how professional magicians shaped the early history of cinema. This is a subject which is often referred to but seldom give book-length treatment. The classic study for years now has been Erik Barnouw’s The Magician and the Cinema, while Dan North’s Performing Illusions ties together the illusions of the pre-cinema and early cinema worlds to the CGI and SFX of today. Matthew Solomon focuses on the work of those professional illusionists who transferred from stage to screen between 1895 and 1929, looking in particular at the work of Georges Méliès and Harry Houdini. The book also investigates “anti-spiritualism and presentational performance in silent film … highlighting early cinema’s relationship to the performing body, visual deception, storytelling, and the occult”. Just outside the Victorian period was Gaston Velle, magician and the son of a magician who directed fantasy films for Pathé in the early 1900s. Harry Houdini was unusual in being a magician/illusionist from a later era who made a strong impact upon cinema (or else it made a strong impact upon him). He was a one-man thesis on the boundaries between illusion and reality, being magician, escapologist, actor, film producer and someone dedicated to exposing frauds such as spiritualism. He included films as part of his vaudeville act from the mid 1900s, then starred in a serial which showed off his skills in escaping from impossible perils: The Master Mystery (1919, in 15 parts), followed by two feature films for Paramount, The Grim Game (1919) and Terror Island (1920). He formed the Houdini Picture Corporation to make The Man From Beyond (1921) and Haldane of the Secret Service (1923), but cheap production and a lack of real film presence in Houdini himself meant that his film career petered out. His stunts also featured in newsreels of the period. Kino Video has a 3-DVD set Houdini: The Movie Star, which includes The Master Mystery, Terror Island, The Man From Beyond, Haldane of the Secret Service, a five minute section from The Grim Game, and assorted archival films of Houdini in action. 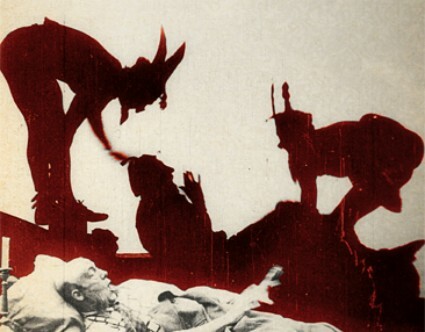 In 2006 Matthew Solomon curated a section of the Pordenone silent film festival programme on magic and film. You can find the list of films and his notes on the festival catalogue, here. I read this as meaning that the general audience of 2010 is more than capable of appreciating the creative strengths of early cinema. There is delight at its invention alongside amusement at its quaintness. There is genuine appreciation of its proto-special effects with an understanding of how they fit into an ongoing history of film fantasy. How different from the ways such films were disseminated and received only a few years ago. Alice in Wonderland has been in the BFI National Archive for years, and the common ways in which we were able to present such films to an audience were at very occasional screenings at the National Film Theatre as part of early cinema programmes (attended by a couple of dozen people if you were lucky) or at festivals and exchange screenings with other film archives and institutes. Sometimes we just viewed the films by ourselves and bemoaned the fact that so few people could see them, or might ever want to see them. Only we understood their true value – or so we believed. VHS and DVD came along to help spread the message, but it was always a tough proposition to sell a compilation of early films. What one seldom had the opportunity to do was to show such films individually. Now look where we are. Alice may well have garned more views in the first week than it received on its original release in 1903 (does anyone know how many people got see an individual film in 1903? I’ve no idea). Moreover it is being seen by such a wide range of people. It has been taken out of its specialist field into general appreciation. This is what YouTube does, and what other film archives need to take note of. It establishes a common platform that is so much better for these films than the specialist ones that we have created for them in retrospectives, festivals and niche DVD releases. When these films are shown to the afficionados or those deemed to know best how to appreciate them, we learn little about them that is new. They are constrained by their select surroundings. Make them available among the skateboarding cats, comic skits, rants and ravings, music videos and TV clips that make up YouTube’s mad mix (all of them short films, just like early cinema) and they are given new life through new audiences. The reactions will be wild at times, there will be plenty of misinterpretation or ignorance of ‘proper’ film history, but the positives far outweigh the petty negatives. The positives are that the film is available to all, that it will be placed in contexts that we as curators or custodians might never think of, that it is exchangeable and shareable as information, that it belongs to today as much as yesterday. And since I started writng this post two hours ago, the number of views has risen by nearly 5,000 to 128,285. While I’ve been rambling, others have been watching, and sharing. For the record, Alice in Wonderland was produced in Britain by Cecil Hepworth (left), whose studies were in Walton-on-Thames outside London. Denis Gifford, in his British Film Catalogue, credits the direction to Hepworth and his regular director at this period, Percy Stow. Mabel (May) Clark, who had joined Hepworth as a film cutter, plays Alice; Hepworth himself plays a frog, his wife Margaret plays the White Rabbit and the Queen of Hearts, while future director of Irish films Norman Whitten plays the Mad Hatter and a fish, while cinematographer Geoffrey Faithfull and his brother Stanley are two of the playing cards. The film was originally 800 feet or twelve minutes in length (though it was divided up into sixteen scenes which could be bought separately). Eight minutes survive today, in a somewhat ragged state. It was the longest British film yet made. Alice was made with close attention to Tenniel’s original drawings, though it was bold enough to include its own additions to the narrative, giving Alice a magic fan (Tim Burton adds the Jabberwock to his version of the tale, which seems a somewhat greater liberty to take). Its special effects, achieved using optical printing and some ingenious use of scenery, allow us to see Alice grow large and small with impressive effectiveness. But perhaps the most delightful element is the procession of playing cards (filmed at the Mount Felix estate at Walton), which seems to have involved the participation of a local school. The narrative makes no sense when viewed with cold logic, but then neither does Lewis Carroll’s original. In short it is random – but cool. Now go tell someone about it. Set in 1904, a young couple desiring to own land is convinced by a distant cousin to leave their comfortable city life to pursue homesteading in the Nebraska Prairie. A neighbor’s house and land has become vacant, and the couple is told they can have it. Possibilities of a new life and future for their unborn child overshadow any questions about what happened to the previous occupants of the house. Based on a true story, this chilling account written, directed and produced by brothers Chad and Smith portrays the hardships and desolation of prairie life as the young family unearths the horrifying details of the house and its past. Hannah House, essentially a silent film, utilizes visual textures similar to those that occur now in many of the decomposing silent films from the 20’s. By capturing the imperfections of scratches, skips, dirt and trapped hairs, the result is like watching a painting of the desolate prairie come alive, and are also used as a narrative element to further the disturbing tone of this film. Modern silents tend towards comedy, so this makes for a welcome change, though we have seen a few other examples of modern horror silents: Andrew Leman’s stylish H.P. Lovecraft homage The Call of Cthulhu (2005), Guy Maddin’s Dracula: Pages from a Virgin’s Diary (2002), and most recently Jim Towns and Mike McKown’s Prometheus Triumphant (2008). It’s hard to tell just from a trailer, but it looks like Hannah House differs from the others, which adopt a style to capture a haunted mood, instead placing modern horror conventions in an alien setting. Either way, the films find a relevance in the silent film style that lies well beyond pastiche. Hannah House was made by the Smith brothers’ Monkey Angel Studios and is available through the video-on-demand service Shiny Object Digital Video and on DVD in the UK. According to IMDb it was made in 2002, but doesn’t seem to have been seen much before 2005/06. And, if you must, you can discover the ‘true’ story behind Indianapolis’ Hannah House (“the house that reeks of death”) here.